Mike Myers will soon bring you another Austin Powers movie, but mere celluloid cannot contain this comic creation. 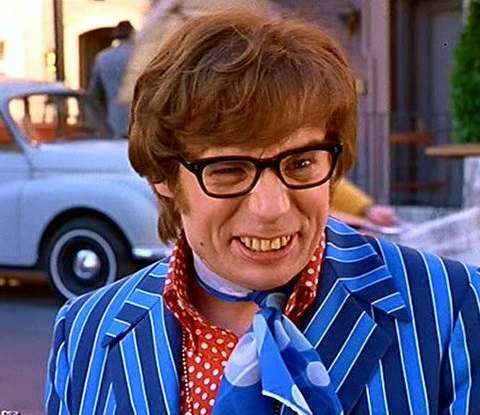 Myers is working on a story for an Austin Powers musical that will serve as a prequel to the movies. This will be an origin story that tells how the spy found his mojo in 1960s London, set to the songs of Burt Bacharach and Elvis Costello. (I can’t tell if these are examples of the type of music, or if it will be all Bacharach and Costello. I hope for the latter.) Myers is not expected to star in the production. THR reports Casey Nicholaw, the co-director behind the Tony-winning The Book of Mormon, is in talks to direct. You may recall that the Austin Powers movies have broken into song on a number of occasions. Hit the jump for a few examples. From The Spy Who Shagged Me. And the follow-up in Goldmember.